Tom’s Hardware got up close and personal with a sweet-looking AMD Eyefinity spread at AMD’s Ontario office. It’s running off one of the new Radeon 6990s, and the 5×1 mode lets you use portrait orientation to minimize horizontal seams. 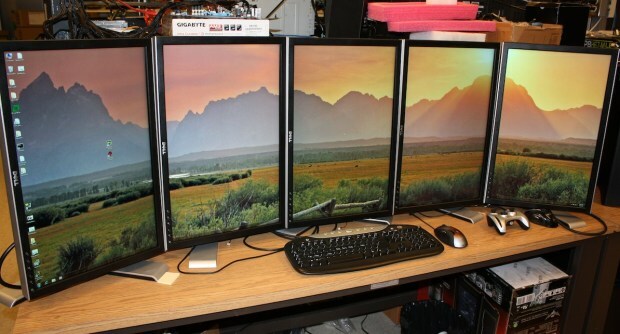 But when are we going to get some of these bezel-less monitors I keep hearing about? I know LG’s working on it, but hurry up, dudes. Check out the video here. I’d probably get sick playing Dirt like that.